In September 2013, the Marvel Cinematic Universe made the jump to the small screen with Agents of S.H.I.E.L.D., and the network later added Agent Carter in January 2015. Since then, Marvel’s TV presence has expanded to Netflix and Freeform, but ABC remains the sole broadcast network for Marvel to showcase their work. However, with the upcoming television season only four months way, ABC’s lineup of Marvel shows might be dealing with some issues. Following a two-season run, it looks unlikely that Agent Carter will be returning for Season 3, as star Hayley Atwell’s new pilot, Conviction, looks like it will probably be picked up. Variety also reports that the upcoming Agents of S.H.I.E.L.D. spinoff, Marvel’s Most Wanted, “isn’t quite a lock,” although there's still a chance it could be ordered to series. As for Agents of S.H.I.E.L.D., that was renewed for Season 4 earlier this year, so fans don’t need to worry about it. Taking all this into account, Marvel will still have a presence in the 2016-2017 TV season, but it may not be as big as some of us previously expected. 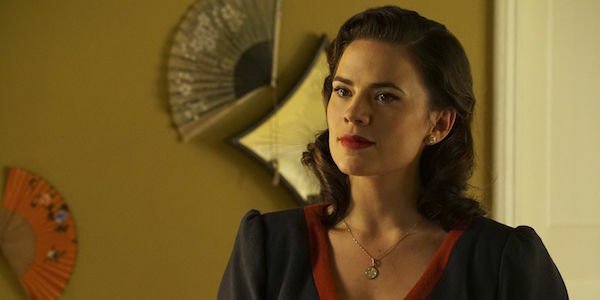 Although Agent Carter earned positive reviews in its second season, which followed Peggy Carter in Los Angeles dealing with Whitney Frost and the Darkforce energy, it also suffered from low ratings. It had been suggested that Atwell might be able to juggle both Agent Carter and Conviction at once, but if Agent Carter has been performing less than satisfactorily, then it’s not too surprising that ABC wouldn’t want to keep airing it and make sure Atwell is focused on her new show. Unfortunately, that also means the cliffhanger in the Agent Carter Season 2 finale would go unanswered. As for Marvel’s Most Wanted, which follows Bobbi Morse and Lance Hunter on the run with adventurer Dominic Fortune, it sounds like even though it isn’t 100% guaranteed, the chances of it becoming a series are more likely than not. With Agent Carter probably on the way out, it’s possible Marvel’s Most Wanted will become the new show that airs during Agents of S.H.I.E.L.D.’s timeslot while that show is on hiatus. Adding Marvel’s Most Wanted to the lineup also allows easier opportunities for TV crossovers in case ABC wants to replicate what The CW has accomplished with its DC Comics shows. In addition to the previously mentioned shows, Marvel has a few other projects in development at ABC. This includes Damage Control, a comedy that follows a cleaning crew that tidies up after big superhero battles, and the mysterious superhero series that 12 Years a Slave writer John Ridley has been working on, which will apparently “reinvent” an existing Marvel character. There’s also a second comedy that’s been mentioned, but no details about it have been released. Clearly the network is eager to give its viewers plenty of Marvel material. If you want to get a taste of ABC’s MCU offerings, Agents of S.H.I.E.L.D. currently airs Tuesdays at 9 p.m. EST.